Like Tom Jones before him, Barry Lyndon is one of the most lively and roguish characters in English literature. He may now be best known through the colourful Stanley Kubrick film released in 1975, but it is Thackeray who, in true 19th-century style, shows the darker side of this 18th-century hero; hence it remains a startling novel. Following the death of an English officer, Barry flees his native Ireland and attempts to establish himself as one of England’s aristocratic elite. Through backstabbing and scheming he reaches the level of society to which he always aspired. However, intent on criticizing the period’s social order, Thackeray ensures that this success is soon followed by the hero’s ultimate decline. Jonathan Keeble’s energetic reading imbues the period with colour and illuminates the sheer inventiveness of Thackeray’s literary and topical satire. Thackeray’s classic tale of Barry Lyndon, who escapes his life on the Emerald Isle to pursue a more luxurious existence in England, is reimagined in this audio edition, narrated by Jonathan Keeble. Reading in a rich, accented voice and making use of understated narration, Keeble immediately transports listeners back to the 18th century. 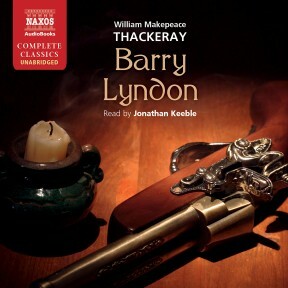 His tone is firm and commanding, and he digs deep into Thackeray’s prose to precisely capture the very essence of Lyndon. Keeble’s narration is well paced, his timing impeccable. And while this audiobook weighs in at about 13 hours – a lengthy commitment for the casual listener – Keeble manages to keep his audience engaged for the duration. In this 1844 classic, English author ­ Thackeray delights readers with the tale of Barry Lyndon, a classically unreliable narrator. Lyndon is an Irish rogue who joins the British army after an ill-fated love affair and then goes on to fame and fortune as a fashionable gambler. As in his masterpiece, Vanity Fair, Thackeray presents his characters accurately and realistically. His portrayal of the dissolute, unscrupulous protagonist, a degenerate who thinks he is royalty among men, is masterly. Barry Lyndon may be unlikable, but the beauty of the words and the depth of the story make for a fantastic read. British voice artist Jonathan Keeble brings this amusing tale to life with his rich and wonderfully faceted voice. VERDICT: Recommended for all fans of classic English literature. This classic promises an entertaining look at the corruption, duplicity and ambition of Thackeray’s ironic narrator, Redmond Barry Lyndon. A confident social upstart, Redmond draws little empathy from the listener as he expounds upon his villainous actions to obtain wealth and prominence. Jonathan Keeble captures Redmond’s voice perfectly in his narration. 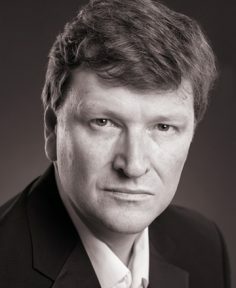 Keeble has a deep, bold voice that becomes especially emphatic when his narrator grows heated, and his expert use of intonation often leaves Redmond’s veracity open for interpretation. 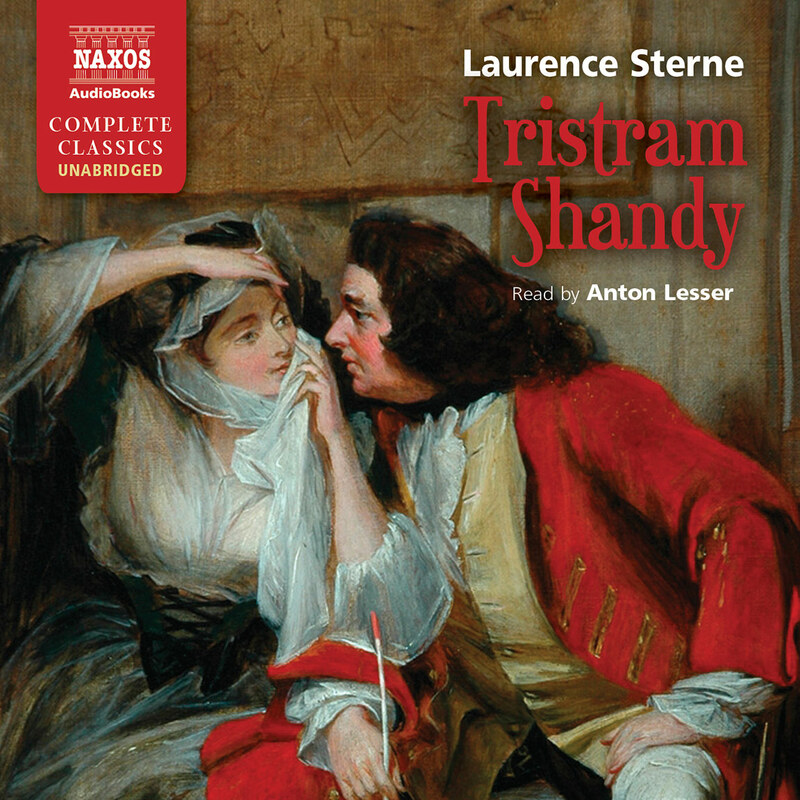 This audiobook offers Keeble the challenge of creating not only the haughty Redmond but also a diverse set of characters, from Irish commoners to German aristocracy. Keeble meets the challenge admirably, providing a unique vocal personality for each character. His narration enlivens this intriguing fictional autobiography. 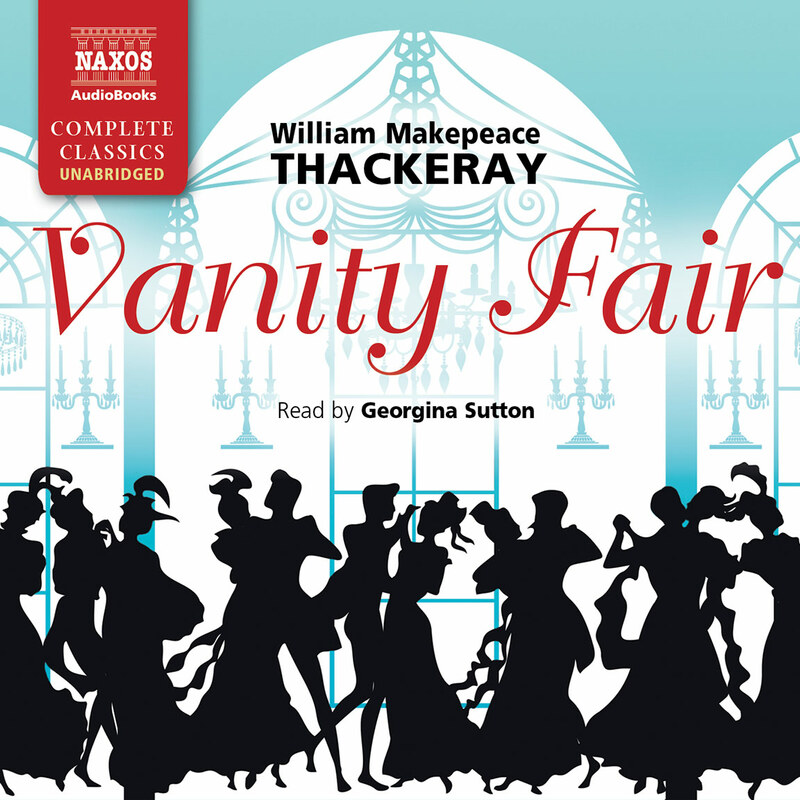 The one book which everyone knows by Thackeray is Vanity Fair. He entitled his preface to this novel ‘Before the Curtain’, and in it he compares his role to that of the manager of a theatre – not a serious, elevated or classical sort of theatre, but a low, popular fairground burlesque. Here, he says, and he means both inside the theatre and in the streets outside, ‘There is a great quantity of eating and drinking, making love and jilting, laughing and the contrary, smoking, cheating, fighting, dancing and fiddling. There are bullies pushing about, bucks ogling women, knaves picking pockets, policemen on the look-out, quacks bawling in front of their booths, and yokels looking up at the tinselled dancers and poor old rouged tumblers, while light-fingered folk are operating on their pockets behind. Yes, this is Vanity Fair; not a moral place certainly, nor a merry one, though very noisy’. A better evocation of the world of Thackeray’s fiction would be impossible to conceive; then at the end of the novel which constitutes a grand tour through that sordid world, he simply cuts off the narrative abruptly with the words, ‘Ah, Vanitas Vanitatum! Which of us is happy in this world? Which of us has his desire? Or having it, is satisfied? Come children, let us shut up the box and the puppets, for our play is played out’. Thackeray has given us here the clearest possible clues as to how we should approach and understand his novels: he is obviously both a satirist and a moralist. He dramatises and laughs at the theatrical absurdity and insincerity of a world in which everyone plays a part, everyone is scrambling desperately for money and pleasure, like spoiled children, like ridiculous and helpless puppets dancing in the hands of forces they cannot see or understand. But mockery of this world must logically imply a standpoint from which it is judged; it requires its opposite, namely a vision of moral truth. Yet a novelist’s material is life, not abstract ideas, and the problem for Thackeray the novelist was this: how to expose the follies of this world, how to explore this moral truth, without merely preaching. Thackeray too had scrambled for money and social position, and he had also suffered great personal sorrow in his life. His purpose as a writer was to transmute both these wounding experiences into literature, and the method that he adopted was to let life speak for itself: to immerse himself in the living texture of life in all its richness, absurdity, theatricality, cruelty, self-delusion and lies, so that he did not need to preach, for any perceptive reader would understand what was happening beneath the surface colour and confusion. For Thackeray there was to be no omniscient narrator commenting on the action, telling his readers what they should know and feel about the characters and their actions. There was to be no carefully constructed plot, no secrets, conspiracies, revelations or dénouements. Above all there were to be no heroes or heroines, only living people, in their magnificent meanness. The cavalcade of life must pass before our eyes, apparently without art, without structure; we must enter it, be part of it, feel for ourselves its flow, its humour, its unpredictability, its hidden sadness. To write like this is not something one is born with, and Thackeray had to spend many years learning to observe, to master his material, and to place his authorial voice. He began as a humorous sketch-writer for the newspapers, dissecting the foibles and pretensions of his contemporaries, in particular their obsession with rank and possessions, their desperate pursuit of the status of ‘lady’ or ‘gentleman’. His writing method was deeply influenced by the eighteenth century humourists, especially Fielding, whose characters bounce back and forth through picaresque adventures, giving the author an ample canvas on which to paint the society of their time. He was drawn to the literature of roguery and of outright crime, the Newgate Calendar type of story, in which the criminal is shown to be our own mirror image – the rogue, the deceiver, the traitor, the schemer who happens to have been found out. Fielding’s Jonathan Wild fascinated Thackeray, as the portrayal of a master criminal and arch-deceiver, who, as everyone knows, was a sly caricature of Sir Robert Walpole, the corrupt Prime Minister, this driving home the message that artifice is everywhere in society, and criminality entrenched, if one can only carry it off with enough magnificence. This is the essential background of Barry Lyndon, an early work in which Thackeray experiments with the point-of-view problem, leading the reader through a story which opens up into several different levels of meaning: at some point before the end, we realise that its surface narrative is completely at odds with the message that the author wishes us to take from it. The central figure is a fighter, roisterer, womaniser, gambler, liar, bully, social climber and con-man. Yet the entire narrative is one long act of self-glorification, a catalogue of his triumphs. Thackeray’s skill is to present Barry Lyndon’s story as an autobiographical narrative in which his own corrupt nature emerges from his own lips. As the work progresses there is a deepening dramatic irony, as the reader gradually perceives his true character beneath the lies, the self-deceiving rhetoric. At several points in the narrative, the author draws back the curtain of deceit and we become aware of a very different truth. The first of these comes early, in the German war, when Lyndon laughingly describes the sickening brutality of his conduct. Another comes in the personal credo which he gives while pursuing marriage with a German princess, the credo of a genius, a man triumphant over all evil fortune. A third comes in the thinly-concealed horror of his marriage, where he reveals himself as a bully and a tyrant. A central problem about the novel is to assess whether Thackeray has correctly placed these moments of truth, where we are suddenly alienated from the illusion which the author has carefully built up. But the sordid conclusion of the book demonstrates the great truth which Thackeray has placed at the heart of the novel – that the person who is most deceived by a con-man is the con-man himself. In its rollicking earlier pages, we think we are embarking on something rather like an Irish Candide, but by the time we approach the end, it has turned into something very different, for there is in this novel a terrible depth of bleakness which Thackeray never touched again.